With a history that began in 1921 and a continuous proven track record of providing Value Engineering, Cost Efficient and On Time Construction Activities across a broad spectrum of projects, we have earned the right to be called an industry leader. When you need a recognized leader in the structural steel industry you can always count on Herrick to provide a professional and measured solution. Whether a project demands a large capacity fast track delivery or the well managed guidance of a design assist program with a highly coordinated delivery method, Herrickhas a proven track record. 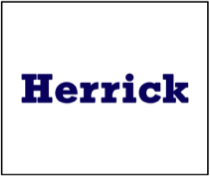 We thank Herrick Steel for their ongoing support.